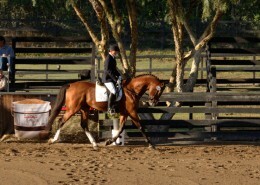 First impressions are big with this stallion. 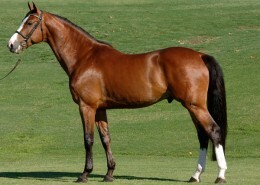 You’ll appreciate his tremendous presence, impeccable manners and fluid, powerful gaits. 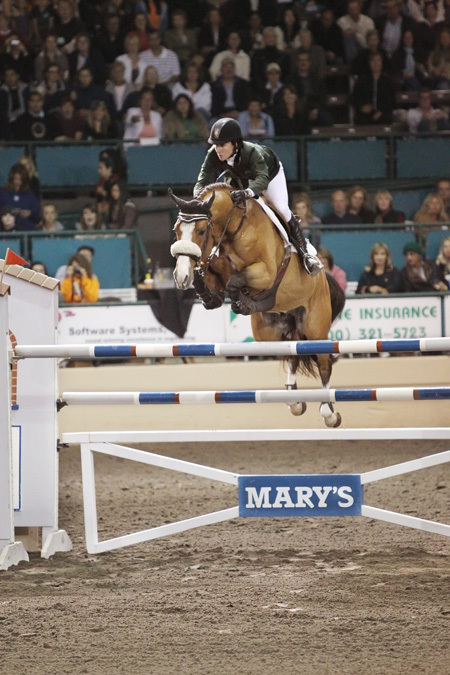 At three, his free jumping ability was, and continues to be, breathtaking—and his potential is powerfully obvious. 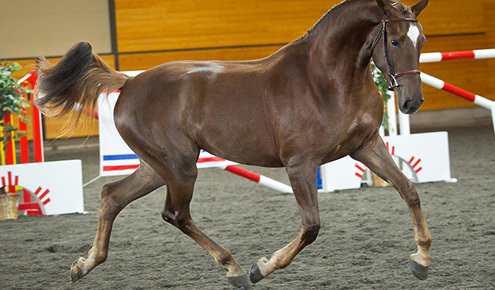 The American Holsteiner Horse Association (AHHA) scores him at 47, with his canter earning well-deserved 8s. 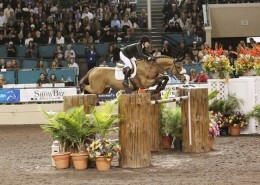 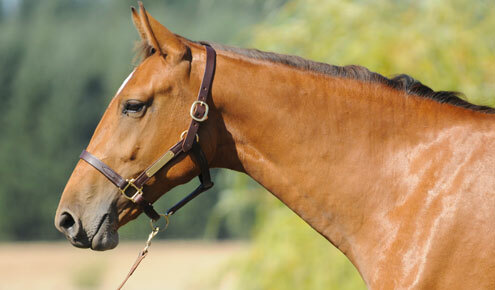 Chesapeake is nominated with the Performance Horse Registry (PHR). 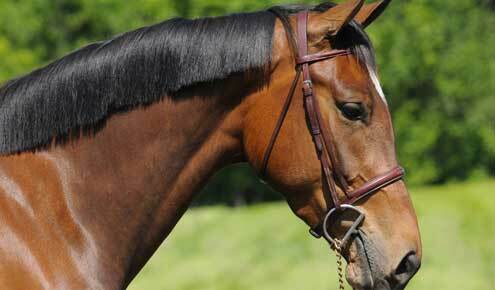 He is licensed with the American Holsteiner Horse Association (AHHA). 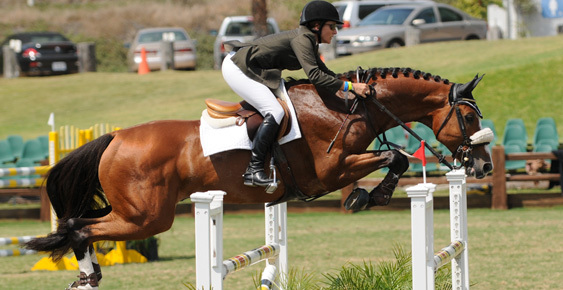 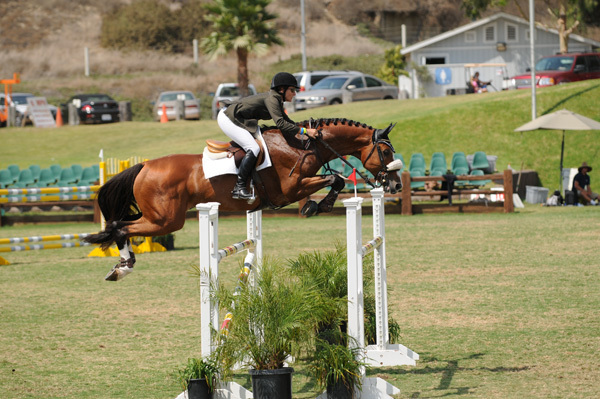 In 2010, Chesapeake boldly leaped into the Grand Prix ring with an impressive showing and second place finish in the $25,000 HITS Desert Circuit IV Grand Prix. 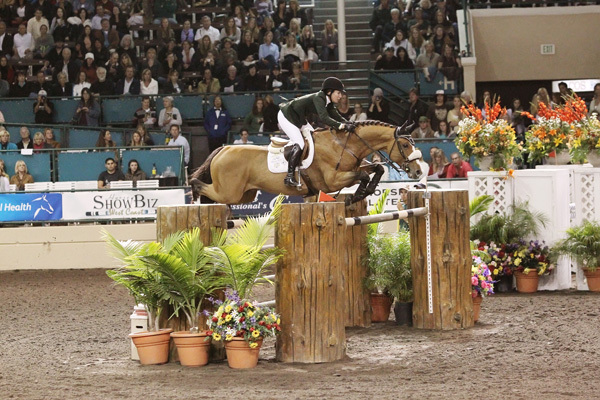 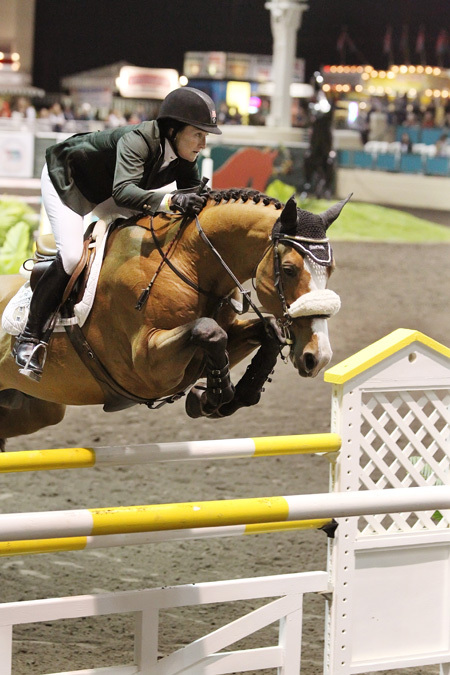 Earlier in the circuit, he placed third in the highly competitive PCHA Jimmy Williams Futures Class and during Week VI he placed fifth in the $25,000 Grand Prix. 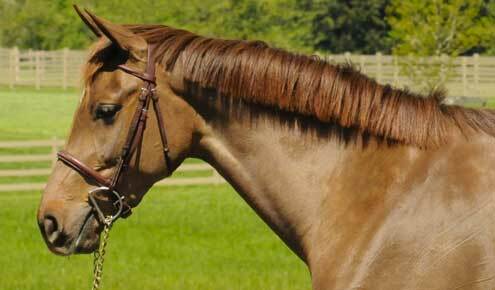 Grandsire Carthago Z, was a super star performance horse who proved himself equally as a breeding stallion. 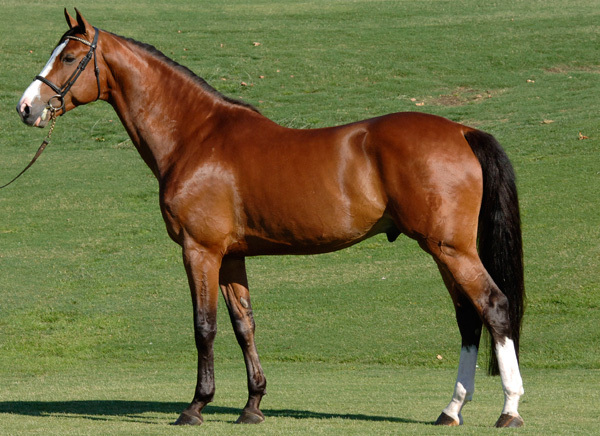 He sired several approved stallions and had a very illustrious show jumping career winning many Grand Prix’s as well as competing in 15 Nations’ Cups and two Olympic games. 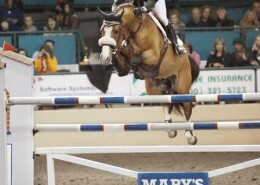 Carthago showed his jumping talent early on his career. 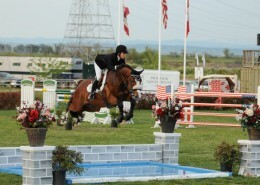 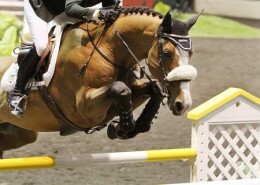 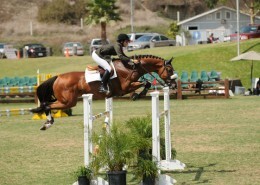 At his performance test he earned a 9.5 for free jumping and a 10 for jumping talent. 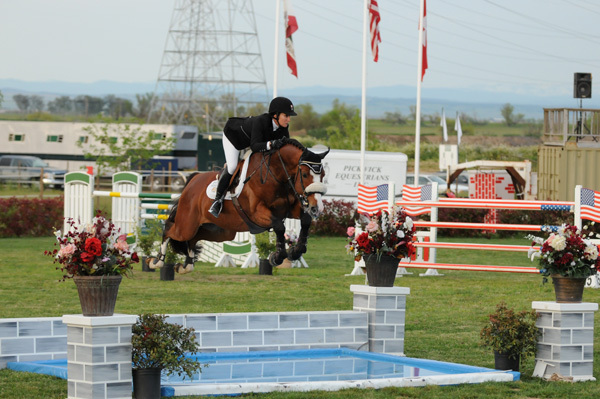 On Chesapeake’s dam’s side, Landgraf I, one of the first sons of the legendary Ladykiller, has sired offspring with winnings close to $7 million (and growing) in show jumping. 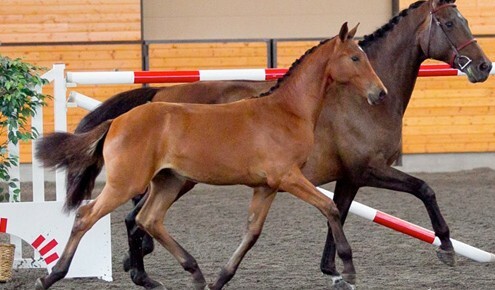 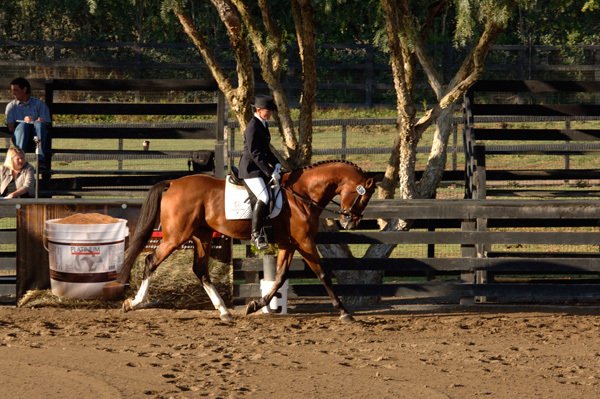 Landgraf is know for his even temperament and fine movement. 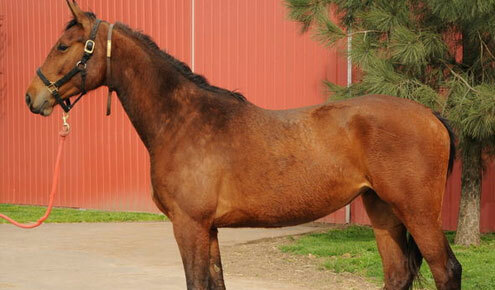 Carthago’s record speaks for itself, but his sire deserves a lot of credit. 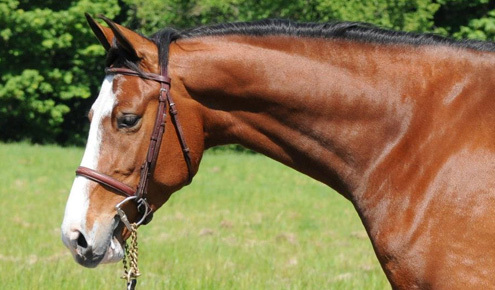 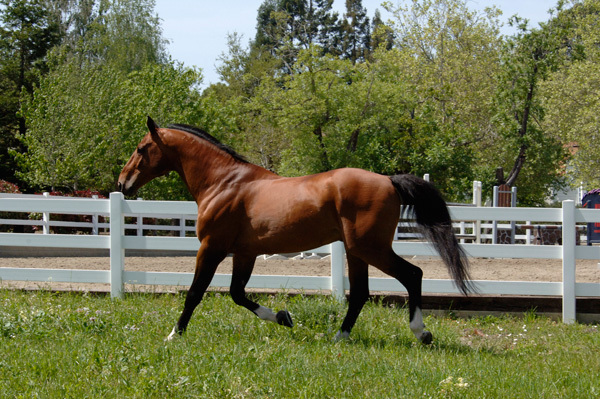 Capitol I, considered one of the great modern Holsteiner show jumping sires is relished for his exceptional jumping trains, enormous ability and an uncomplicated willingness to perform—all characteristics he passes on to offspring. 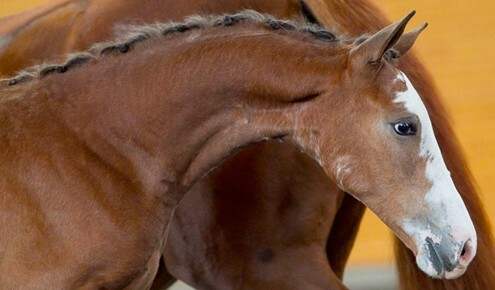 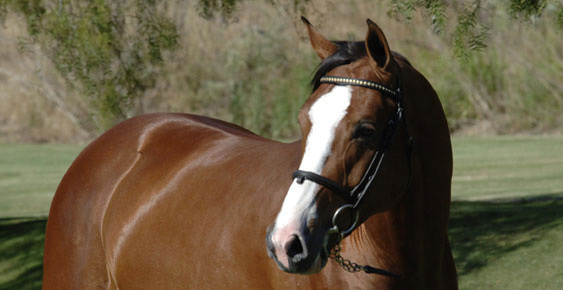 Chesapeake’s first foal crop arrived in 2006. 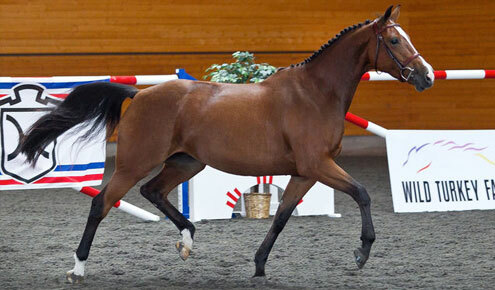 Wishful Thinking (2006 filly, Chesapeake x Alba Real) owned by Alison Maskel and 2009 Crimson Cavalier bred and owned by Saddle Brook Farm both were awarded Premium Status at the Holsteiner Approvals.